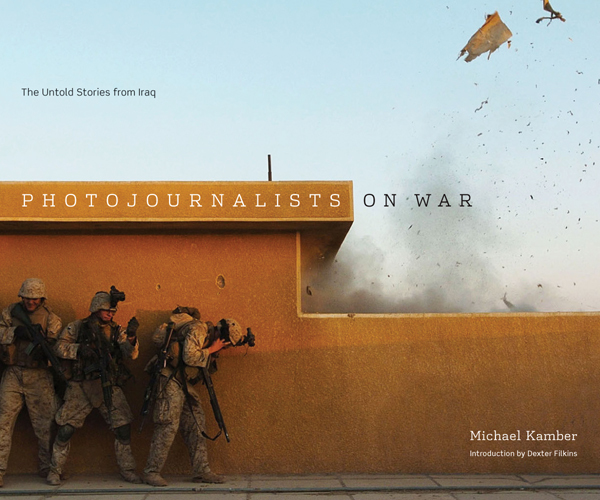 With visceral, previously unpublished photographs and eyewitness accounts from the front lines, three dozen of the world’s leading photojournalists reveal the inside and untold stories of the Iraq war in this groundbreaking oral history. With previously unpublished photographs by an incredibly diverse group of the world’s top news photographers, Photojournalists on War presents a groundbreaking new visual and oral history of America’s nine-year conflict in the Middle East. Michael Kamber interviewed photojournalists from many leading news organizations, including Agence France-Presse, the Associated Press, the Guardian , the Los Angeles Times , Magnum , Newsweek , the New York Times , Paris Match , Reuters, Time , the Times of London , VII Photo Agency, and the Washington Post , to create the most comprehensive collection of eyewitness accounts of the Iraq War yet published. These in-depth interviews offer first-person, frontline reports of the war as it unfolded, including key moments such as the battle for Fallujah, the toppling of Saddam’s statue, and the Haditha massacre. The photographers also vividly describe the often shocking and sometimes heroic actions that journalists undertook in trying to cover the war, as they discuss the role of the media and issues of censorship. These hard-hitting accounts and photographs, rare in the annals of any war, reveal the inside and untold stories behind the headlines in Iraq. Kamber has worked as a photojournalist for more than twenty-five years. He covered the war in Iraq as a writer and photographer for the New York Times between 2003 and 2012. Kamber was the Times ’s principal photographer in Baghdad in 2007, the bloodiest year of the war. He is the recipient of a World Press Photo Award.